For different models a set of standard graphs is created for a spatial or transport volumetric concentration of 17.5%. There are a lot of models available in literature, mostly based on experiments in small diameter pipes. 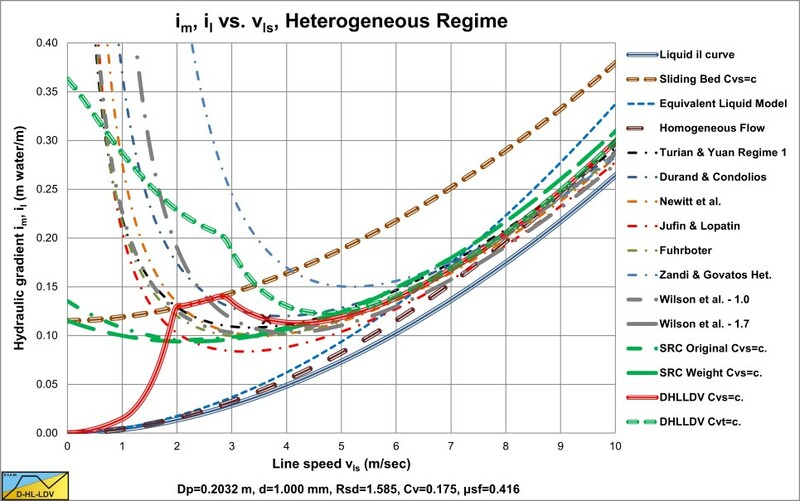 But how do these models behave for the current pipe diameter? 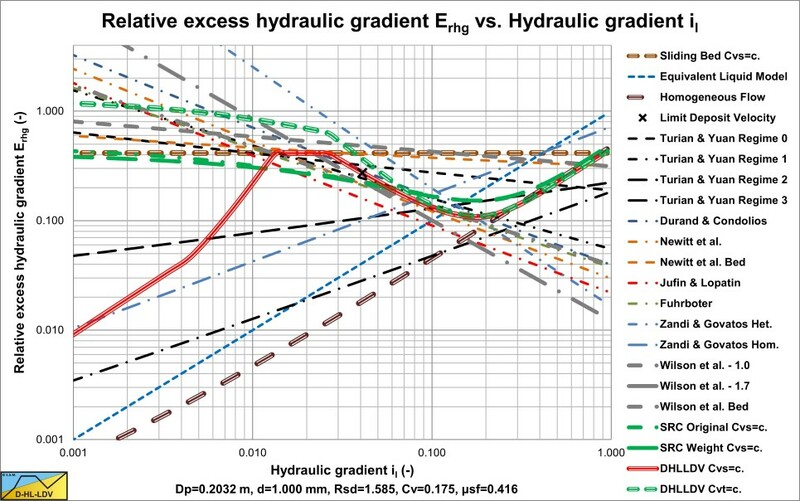 The following two graphs show the relation of the hydraulic gradient im versus the line speed vls and the relation of the relative excess hydraulic gradient Erhg versus the hydraulic liquid il gradient of 22 models. The models include the homogeneous equivalent liquid model (ELM) and the detailed DHLLDV models. 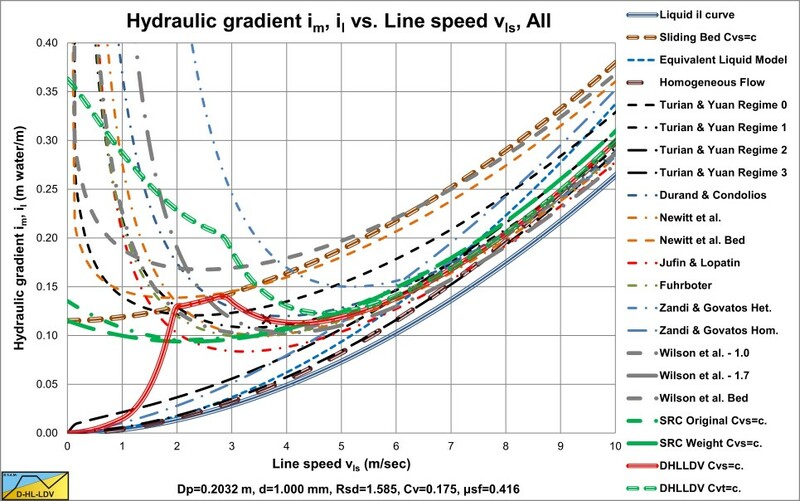 For small pipe diameters (Dp=0.15 m) the models are relatively close, but for large pipe diameters they deviate a lot. 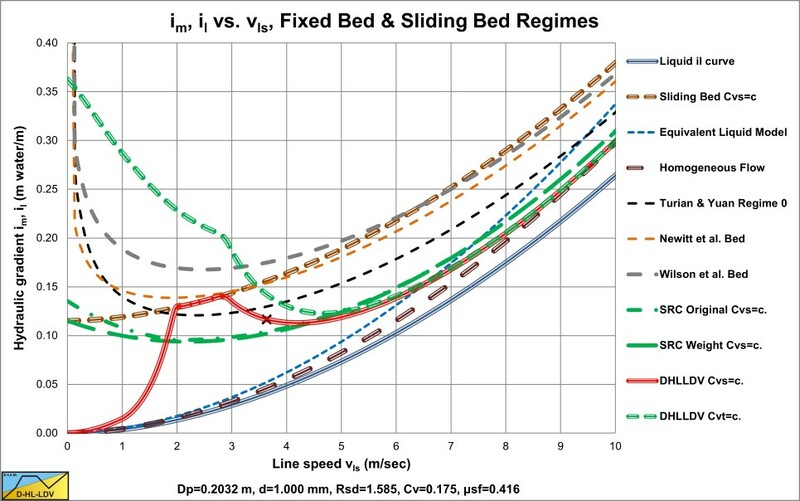 It is also interesting to compare the models based on flow regimes. It is not usefull to compare models of different flow regimes, since the physics are completely different. 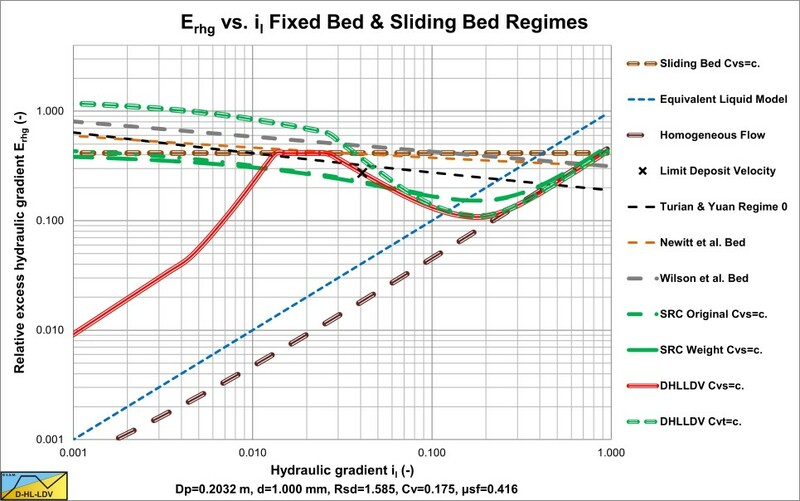 The following two graphs show the relation of the hydraulic gradient im versus the line speed vls and the relation of the relative excess hydraulic gradient Erhg versus the hydraulic liquid il gradient of a number of sliding bed models. It is also interesting to compare the models based on flow regimes. It is not usefull to compare models of different flow regimes, since the physics are completely different. 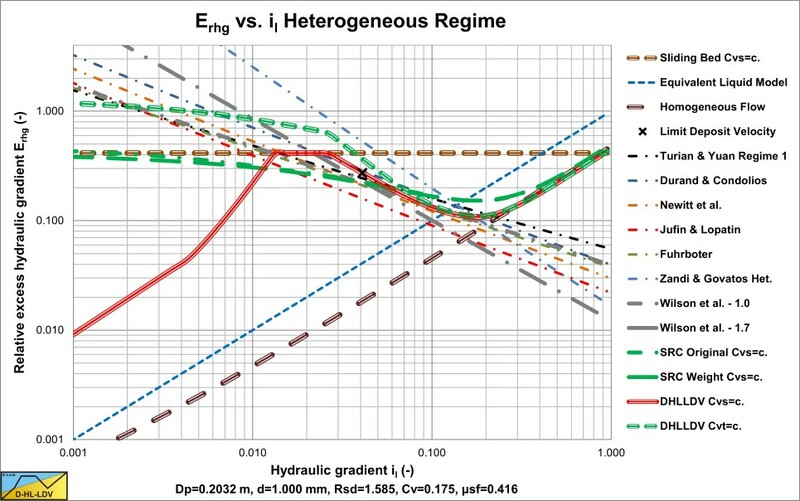 The following two graphs show the relation of the hydraulic gradient im versus the line speed vls and the relation of the relative excess hydraulic gradient Erhg versus the hydraulic liquid il gradient of a number of heterogeneous and homogeneous models.